In this Nov. 30, 2018 file photo, Associate Justice Ruth Bader Ginsburg, nominated by President Bill Clinton, sits with fellow Supreme Court justices for a group portrait at the Supreme Court Building in Washington, Friday. 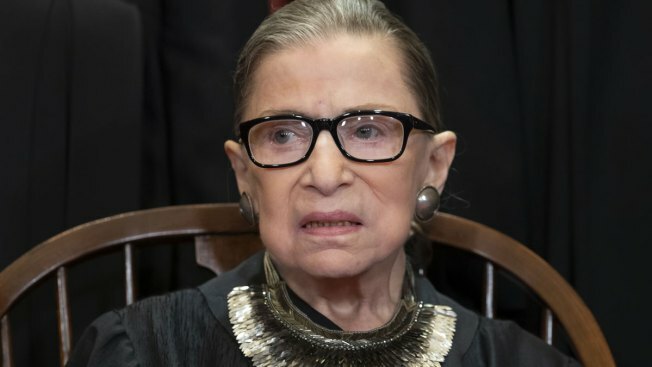 Ginsburg underwent surgery to remove two malignant growths from her left lung last week. Supreme Court Justice Ruth Bader Ginsburg was discharged from the hospital on Christmas after undergoing cancer surgery last week, the court said Wednesday. Ginsburg underwent surgery Friday at Memorial Sloan Kettering Cancer Center to remove two malignant growths in her left lung. Doctors say there is no evidence of any remaining disease. Ginsburg was released from the hospital Tuesday — Christmas Day — and is continuing to recuperate at home, according to a court spokeswoman.